Sugar & Spice is a great place to quickly stop by on a shopping day and grab a baked treat to re-energise before you hit up the next set of stores. Their pastries and breads in particular are things you simply must have packed to take home. A few things every baked goods addict (like myself) must try are the English Custard Donuts (filled with a creamy custard-y filling), the Pain Au Chocolat (so buttery and chocolate-y), and their carrot cake (the frosting is SO good!). Apart from this, they also do nice danishes, breads, tarts and macarons. 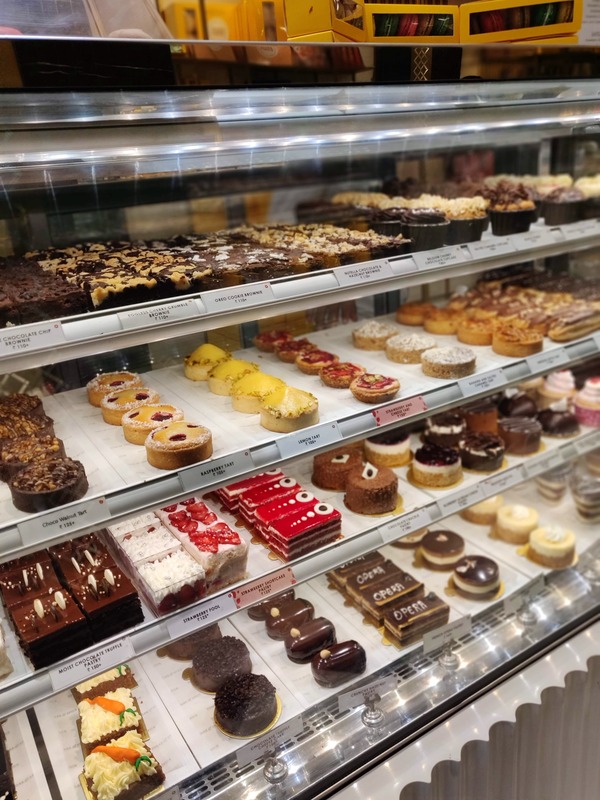 There is also incredible variety in their chocolate desserts section (think chocolate walnut tarts, Nutella donuts, Crunchy Hazelnut Pastry, Chocolate Truffle Cheesecake, and more...). It'd be nice if there was some seating.